Stuck with your important data in the limbo because the Android File Transfer not working on your Mac device? 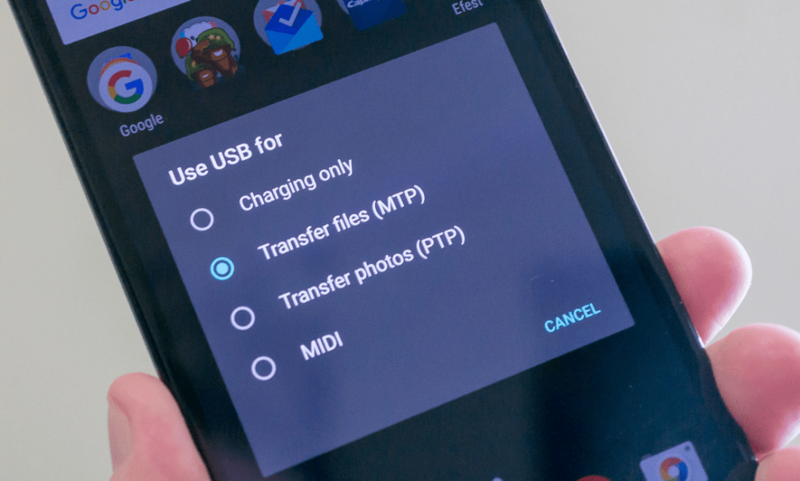 Here’s a guide on how to make the official Android-Mac file transfer client work, and alternatives to replace it entirely. Back in the day when Nokia was the supreme leader of the mobile market, the second-place fight was competitive. While it may have been considered the “next best thing” at the beginning Android OS has progressed rapidly under Google. After the demise of Symbian OS and the failed takeoff that was the Windows Phone, there are only two mobile market leaders in the picture as of now – Android OS and iOS. The two mobile platforms may share the love and affection of millions of users, but they are fundamentally different. While Android OS continues to be the shining example of freedom, iOS, and Mac OS too, has always been introverted. Apple offers little to no cross-compatibility with Microsoft Windows as well as Android OS for its computer platform. There is only one officially supported way of connecting your Android device to a Mac computer, being Android File Transfer. The Android device seems to disconnect from the Mac computer sometimes for no apparent reason. Users across the board have reported the infamous “Can’t access device storage” error message pop up that doesn’t go away. There is no ability to access or view files directly from the Android File Transfer tool without moving it to the Mac first. The design is plain and uninspiring, while the user interface is too rudimentary, making the entire user experience subpar. More often than not, wired connectivity issues between mobile devices and computers are directly related to USB cables. In case your Android device has a MicroUSB port, make sure that the cable you’re using is not for “charging-only” purpose. 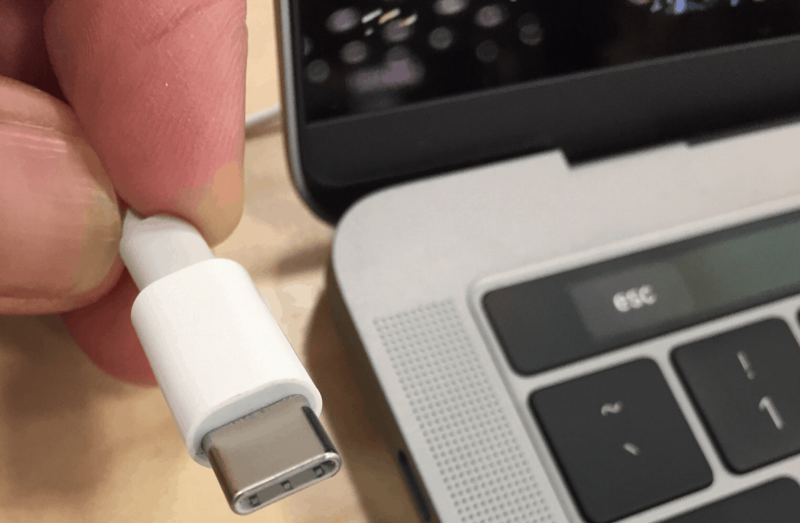 Additionally, inspect to see if the USB port on your Mac is not loosely connected or damaged in any way. Even if the USB cable seems fine, try using a different USB cable or another USB port on the Mac. 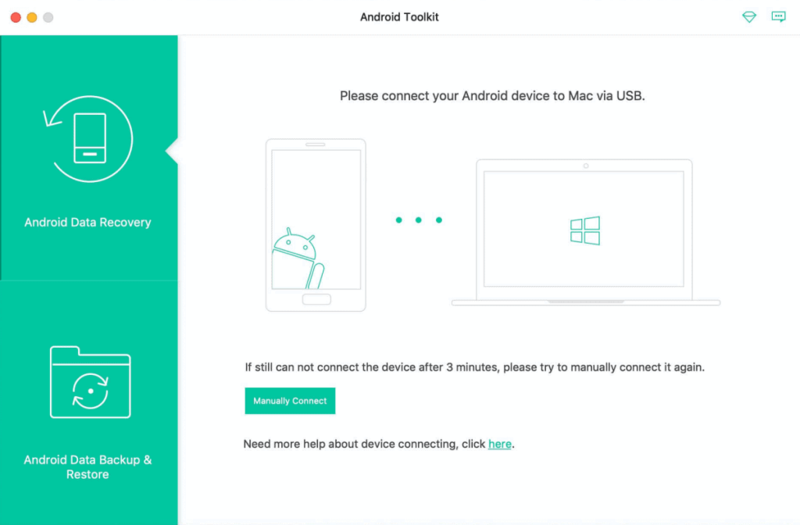 Connect your Android device to the Mac computer using the USB cable. Head over to the screen on your Android phone and slide down to view the notification shade. Tap on the notification that reads “USB for charging” to view the pop-up screen. From the pop-up window, find the “File transfers” option and tap on the empty selection box next to it. Open the Android File Transfer tool on your Mac computer and wait as the Android phone is detected automatically. While the featured has been added to Android OS especially for developers, it is quite handy for file management too. 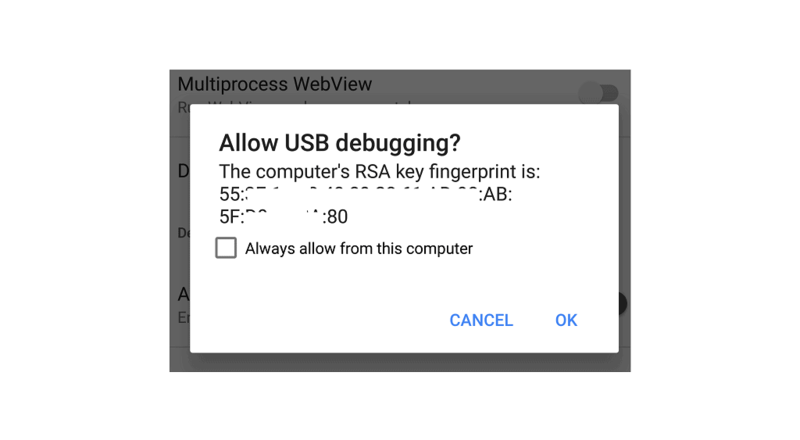 For instance, it is mandatory for you to enable USB Debugging on your Android phone for it to be able to communicate with the computer when connected using a USB cable. However, this feature is kept out of sight from the regular users, which is why you first need to access the Developer Options. Go to your phone’s Settings – About phone and tap on “Build number” 7 times. This will enable the Developer options on your Android device. Now head back to Settings and scroll down to find the Developer options in the menu. Now find the “Allow USB Debugging” option, and tick the checkbox right next to it. Once you have the USB Debugging option enabled, go ahead and launch Android File Transfer tool. 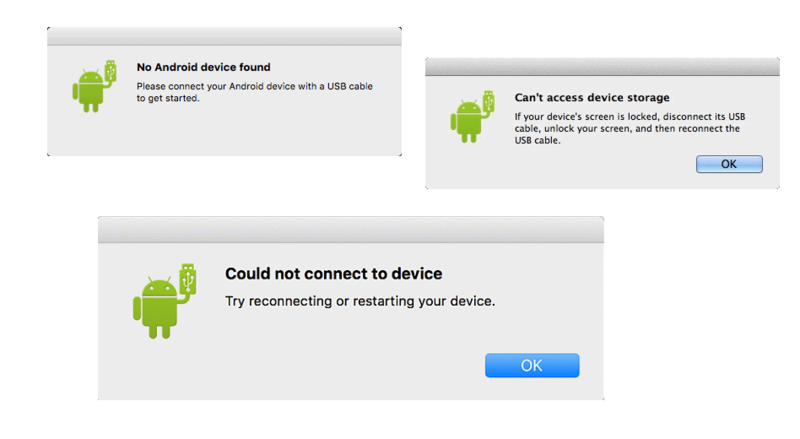 Connect your Android device using the USB cable and it should now be detected by your Mac computer. Before the days of cloud computing, Android OEM devices relied on third-party tools to transfer files from phones to computers. Regardless of whether use used Samsung Kies for your Galaxy device or the Sony PC Companion for your Xperia smartphone, it can be a culprit behind the reason Android File Transfer not working issue. 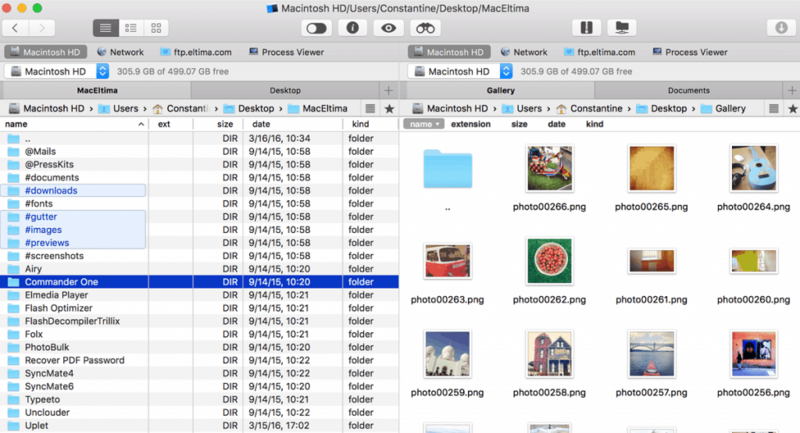 Either way, start off by removing these file transfer tools from your Mac OS computer entirely to see if it fixes the problems with the Android File Transfer tool. Download the installation tool for the software from the manufacturer’s website. Open the installation file and select the option to Uninstall the software from your Mac. Reboot the computer after the uninstallation process is completed and try using the Android File Transfer tool. Considering that AFT is the official client for transferring data between Android and Mac devices, it’s expected to be all-powerful. But since the software is far from it, better and more desirable third-party solutions have surfaced to fix what’s broken. We’ve handpicked file transfer tools for Mac that will help you bypass the problem of Android File Transfer not working. Brought to you by the team of talented developers at Eltima Software, Commander One is the AFT replacement you need. Built from the ground up using Apple’s proprietary Swift code language, this alternative Android file manager tool oozes simplicity. While the software is actually a paid one, it comes with a 15-day trial to help you secure your investment. The dual-pane design of Command One makes it easy to view and manage files when transferring to and from Android. It comes built with expandability in mind, you even get the ability to connect with FTP servers and cloud services. With support for a terminal emulator and root access, Command One is far more versatile than Google’s very own AFT tool. The topper on this list is probably the only software you need to bypass Android File Transfer not working issue. However, if you’re looking for a file management tool that is easy on the eyes and still gets the job done, then HandShaker developed by Smartisan Technology is just what you need. Built with a simplified and easy-to-use interface that blends in with the Mac OS, HandShaker is not light on features. 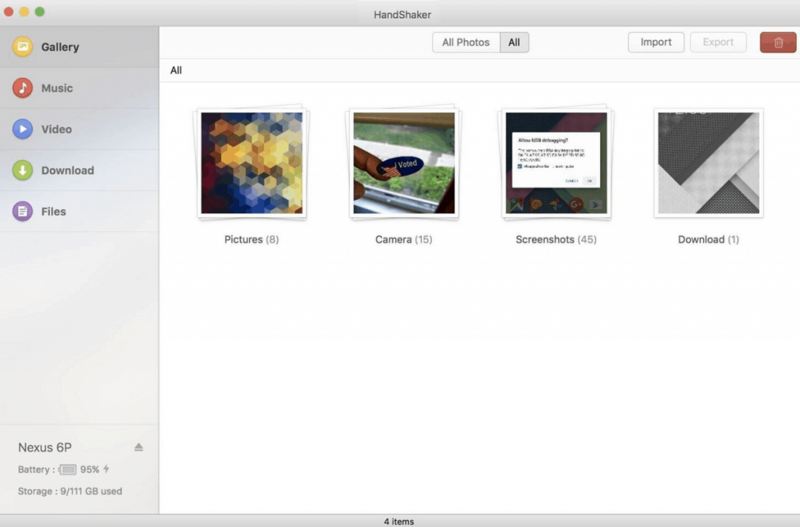 To start things off, HandShaker makes it simple to move files with the drag-and-drop interface between the phone and computer. Allowing you to perform batch operations for importing and exporting data in real-time, HandShaker sorts your content automatically. Using the media options to view and manage Gallery, Music, Video, Download, or even internal storage with the Files tab, you can easily visualize what’s on your phone. Unlike the HandShaker tool that is offered free of cost, the Transfer tool from dr. fone is a premium product. While offered as a free trial to give you a taste, you get a clean Material Design UI and fluidic navigation. Once plugged into your Mac with dr. fone onboard, you get the ability to transfer files, contacts, photos, SMS, music and so much more with just the click of a button. Unlike the rudimentary display panel of Android File Transfer tool, this software is visually pleasing as well. Unlike ATF, dr. fone Transfer works like iTunes for your Android device, allowing you to back up your data, import contacts from Outlook, and manage each and every file and folder on your device with unprecedented access. Offering the good old backup firepower that all of the other offers in a neat and clean design to match that of Mac OS is what Apeaksoft has aimed for with its Android Data Backup & Restore tool. It offers One-click backup and restore option to manage your phone’s data with the support that extends to 5000+ Android OEMs. Devices supported include big brands like Google, Samsung, Sony, LG, Huawei, and others, with supported data files in form of contacts, messages, call logs, gallery images and videos, audio files, and even documents. All of this can be backed up from and to your Android device, making data management with Mac a bliss. Although the software is exclusive to Samsung Galaxy devices, being the largest OEM is enough of a reason for Samsung to launch its very own replacement for countering the Android File Transfer not working issue. Replacing the old and dates Kies software, Smart Switch offers data transfer and backup in a simplified and automated manner. The best part is that Smart Switch help you back up every little aspect from call logs to large video files. 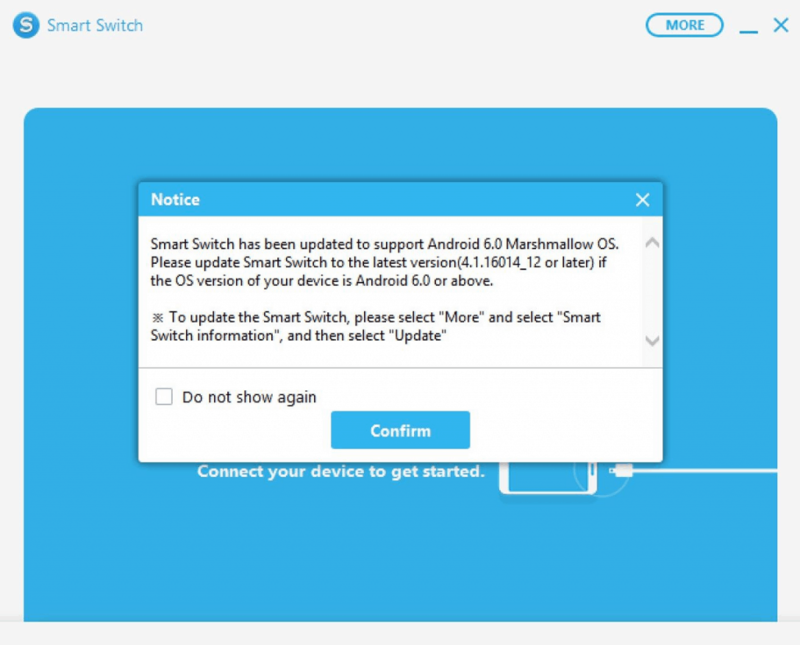 So much so that there’s even a mobile version of Smart Switch that allows you to easily share media and files between a Galaxy and an iPhone wirelessly or through a USB cable (on supported devices). The Cupertino company has not changed its way to becoming more inclusive of other operating systems in the past decades. Since there is no hope of happening so in the future, it’s a problem for cross-platform users who prefer the freedom of Android but the simplicity of Mac. This is why the problem of Android File Transfer not working is a grave issue, being Google’s home software. If you aren’t able to fix what’s broken with the AFT tool, then we highly recommend looking into the alternatives. We’ve tried and tested each of the above free and premium Android file transfer tools for Mac OS, confirming their usability and general performance. If you’re also a cross-platform user juggling between Mac OS and Android, this guide should help you secure your data.